The London Ale III strain is an excellent universal English ale strain. Accentuating malt character, as a true English strain should, this yeast will proide a well rounded ale profile. whyd I pick this?.... if you have to ask then u have never used it. First time trying liquid yeast - pitching straight with no starter. I have heard great things about making NEIPAs with this yeast. Recommended by a friend as a great hazy IPA yeast. Great IPA yeast but also good for British styles, ESB, pale ale, and US Blond. The only yeast for hazy beer! Great for NE Style IPAs! Super fruity yeast, works so well with hazy IPA. Tends to start a bit vigorous, I have had to switch from airlock to blow off tube with 1318. Arrived cold with the 2 ice pack shipper. Made a good size starter. Took a 1.076 down to 1.012 in 1 week. I used this yeast brewing the MoreHaze Double New England IPA (KIT 1600) and it came out fantastic. I started with a 2L starter (1.040 SG) on a stir plate and let it spin for 48 hours. The color of the start went from a relatively dark "fresh wort" color to what could be best described as a "light Werthers caramel" colored indicating that there was a HUGE amount of suspended yeast in solution. Cold crashed the starter the night before the brew day, let sit for a few hours out of the fridge while brewing, poured off the clear liquid and pitched. I aerated using a paint mixer and drill that churned air into the wort like nobodies business. Finished brewing around 9PM, by the next morning fermentation had started and looked healthy but by the afternoon it was at ROAR. If my blow off tube had not been connected well it would have blown around like a wack waving inflatable arm flailing tube man. Didn’t work. Not a single bubble. Nada. Zilch. Nothing. Pitched on a NEIPA wort at 72-74 degrees. 1.056-1.058 OG. Not a solitary bubble. No fermentation at all. Guess I got a dud bag. Very disappointed and frustrated. Won’t buy again. This is my go to yeast for English Bitters, Special and ESB. I pitch 1 package for a 5 gln brew. I additionally add 2.4 grams of Wyeast nutrient 10 minutes before flameout on the boil. Pitch the yeast at 69 - 70F. Vigorous fermentation the next day. Fermentation is complete in roughly 4 days. Used for making a New England IPA. Developed desirable "juicy" flavor in abundance. I highly recommend this yeast for that style. If your are trying to do a hazy NEIPA or a fruity IPA then this is the yeast for you. Great for NEIPAs. can't recommend enough. Smooth stone fruit and papaya flavor that meshes really well with citrus neipas. My favorite yeast thus far. A true top fermenting yeast strain. This yeast makes a thick, long lasting krausen. 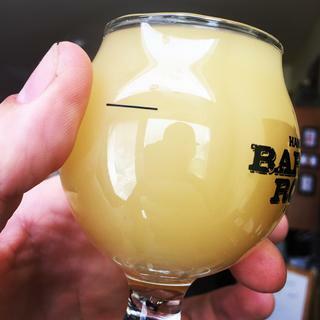 I recently made an NEIPA with excellent results. Used to get moderate attenuation for a bigger-than-usual pecan brown. 1.069 OG attenuated down to 1.019 (73% att) - mash was single infusion at 153-154F all barley. Pitched 2L starter (270Bcells) at 64F (low end) then let rise to 67 over 2 days. Then after 4th day let rise to 74 (top end) to finish. Krausen appeared sometime after 24 hours (was a cold start). Fairly clean profile - low esters, really a good clean option for brown or robust porter to leave behind a touch of sweetness. Will definitely use again in this application. Could be good for NEIPA or smaller IPAs too - clean but with just a smidge more sweetness than WLP001. So far, I've used it 4x. Says on back of package "make a starter for anything over 1.060". I haven't made a starter yet, and my OGs have ranged from 1.058 to 1.063. FGs fall to around 1.016. Definitely need to make a starter to get lower. For NEIPAs it's not too big of a concern, but there is definitely a sweetness to the final product. Might be too sweet for some people's liking. 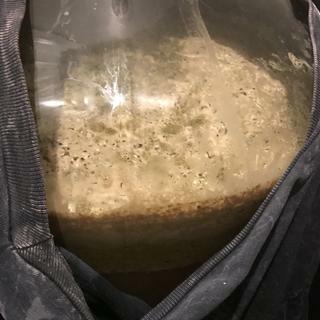 This yeast has been great for me. I only make 2.5 gallon batches and use one packet with no starter. It works well fermenting around 70 for the high growth and then around 75 for the diacetyl rest and maturation. I honestly get 85-90% attenuation. I use for mostly NEIPAs and have had nothing but success! Excellent choice for my New England style IPA. Brewed twice with orders from Morebeer. Both 10 gallon batches attenuated as expected using 2 packets and no starters. I am a huge advocate for preparing starters snd getting cell counts up. However in the first instance I was in a hurry and the shipments from morebeer did not let me down. For the second brew I hedged my bet by taking about 1 ml of activated yeast before pitching along with a few ounces of my wort just in case the beer didn't hit final gravity targets. I was amazed to see the target hit with just the activated psckets in oxygen aerated wort. High quality yeast from a reliable supplier. Used for many different varieties. I like it best in my stouts to give them a softer touch. Not bad in an IPA either to obtain the high alpha with a smoother taste. This really is a true top cropping yeast. There is a huge creamy head that persists through the primary fermentation. It is slow to finish but worth the wait. 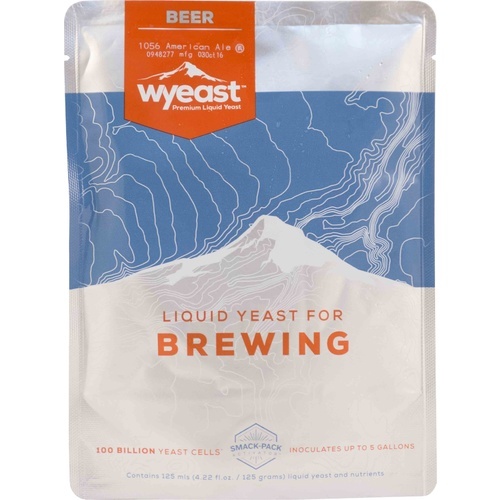 I?ve used this and wyeast 1056 in my robust porter. The 1318 has a smoother and softer finish that works well with the roasted malts.